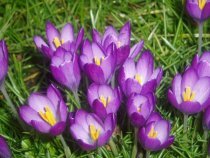 Spring has Sprung - A Collection of Useful Information and Tips! 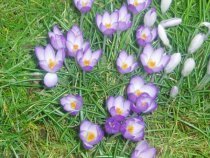 A collection of Spring and Springtime information, what to do, when to do it, step-by-step guidelines and items of interest. It's time to wake up and spring back into action. The world around us is coming to life again and now is the time to renew, recharge and freshen up the world around us. Spotting a hummingbird, watching bees land on flowers, rearing tadpoles into frogs, spring clean those carpets and much more. Some Spring holidays celebrated are Ash Wednesday, St. David’s Day, St. Patrick’s Day, Mothers Day, Good Friday, Palm Sunday, Easter, St. George’s Day, May Day, Dawn Chorus Day. What comes to mind when when you hear the word 'SPRING' ?